We sure do love the Ingalls family. 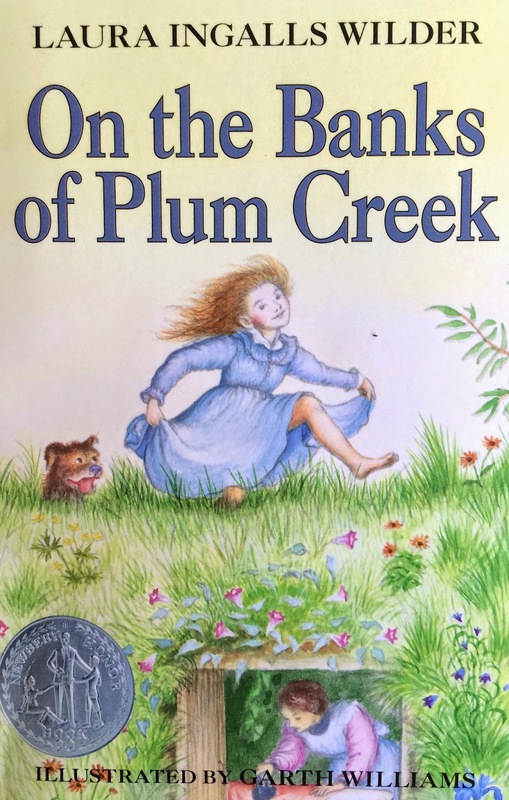 My boys & I finished “On the Banks of Plum Creek” in record time; galloping through 3 to 4 chapters at a time. When E requested that we reread this series, I questioned his choice. After all, I’d already read most of the series aloud to them years ago. Not to mention, each of us have read these books multiple times on our own. Would we really enjoy going through them again? What it means to do without. Why Pa had to trade away Pet and Patty, the Indian ponies. Why the girls had to wear their old dresses long after they’d out grown them. Why they walked barefoot everywhere instead of wearing their shoes. What it means to be gracious even in the face of rudeness and injustice. Why they had to keep their mouths shut when Nellie Olson insulted them (although the boys cheered when Laura figured out a way to revenge the insult to Ma). Why Laura was forced to give her precious Charlotte away to the neighbor’s awful child (we still think Ma was in the wrong). What it means to be grateful for what you have. We continuously discuss this one. How the girls are so happy to receive a few pieces of candy at Christmas. How they are content to eat baked beans and bread meal after meal. How in the last chapter, the best (and only) Christmas gift was that Pa survived the long blizzard and made it home to the family. The Little House books continue to be one of our all time favorite series. They are beautifully written books full of heart, hope and lessons on joyful endurance. If you have not read these, I highly recommend them. With our without a kid to read with. Give these a try and if you feel like getting back to me, I’d love to hear what you think about them. I don’t know how many of miles of wandering we did this last walkabout. But it sure was fun! There was a little more zigzagging on streets than described in the above route. And, of course, lots of peaking into windows and stopping into stores. 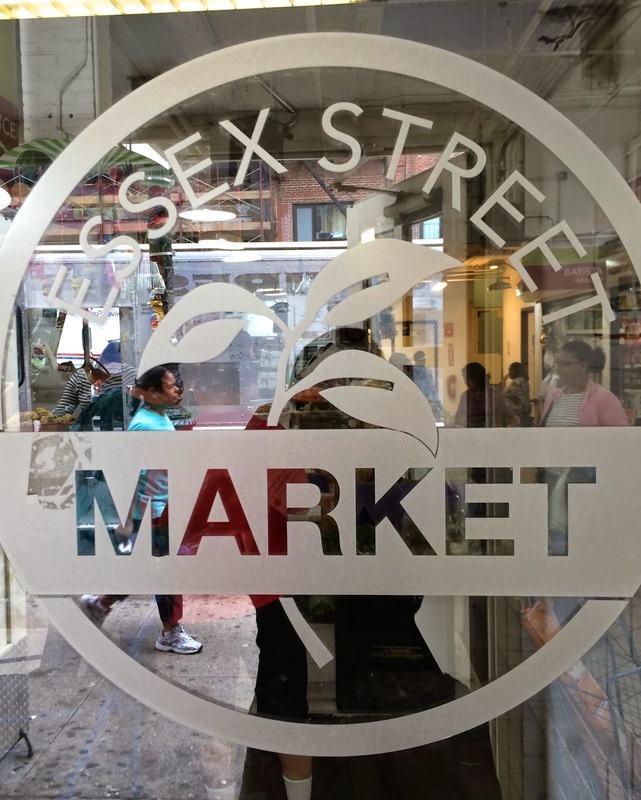 My friend, Gabriela, wanted to check the Essex Street Market. 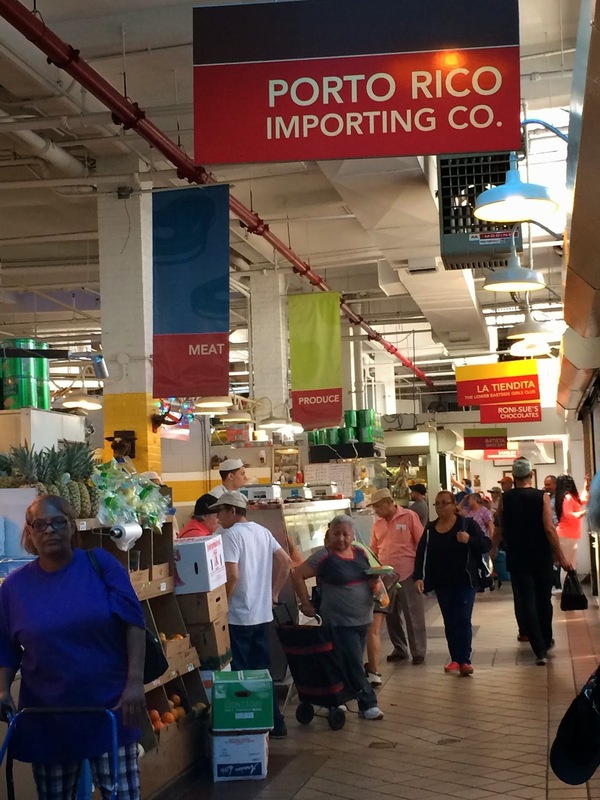 I enjoyed perusing the fresh produce & various spices. By the way, “Loisaida” means Lower East Side. And boy, has it changed over the last 20 years. At a glance, it’s still pretty gritty looking. yummy places to eat at. 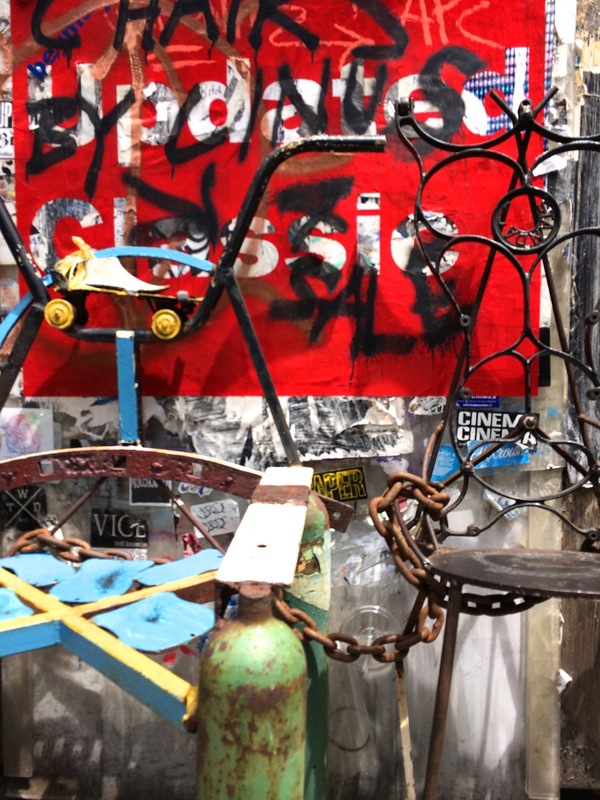 We considered lunching at Clinton Street Bakery but didn’t like the 1-hour wait time. Of course, Katz’s Deli is always delicous. But I had a craving for BBQ, so I dragged Gabriela to my current favorite – Mighty Quinn’s – on 2nd Avenue and 6th street. My favorite discovery of the day was a beautiful little flower shop on Lafayette. I’m really digging these Walkabout NYC days. 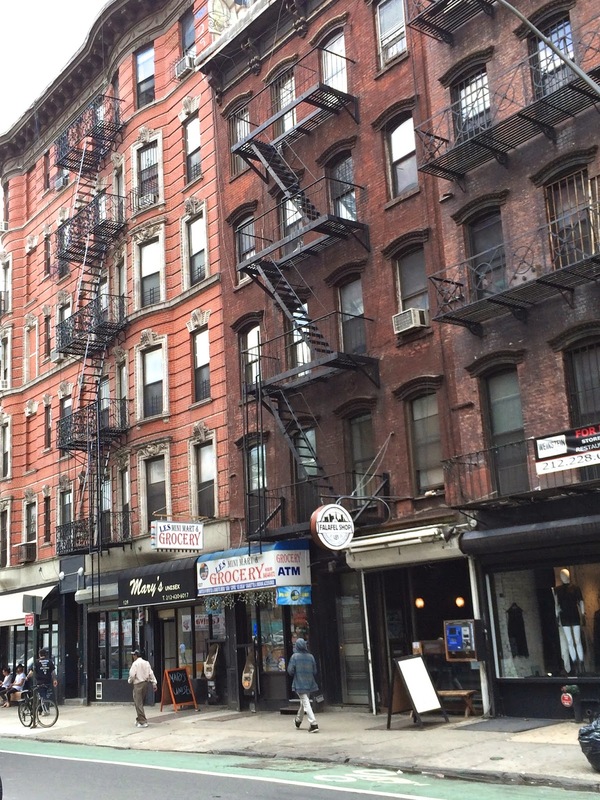 and it’s exciting to rediscover NYC one neighborhood at a time. Check back soon for the next Walkabout adventure! They’re called “mystery” bracelets because there are no loose ends where the braid starts and stops. But I think of them as mystery bracelets because it’s still a mystery to me how I managed to braid these guys up (it can get a little tricky). My hands can do the braid, albeit with lots of fiddling and undoing mistakes, but my brain hasn’t quite figured out what my hands did. 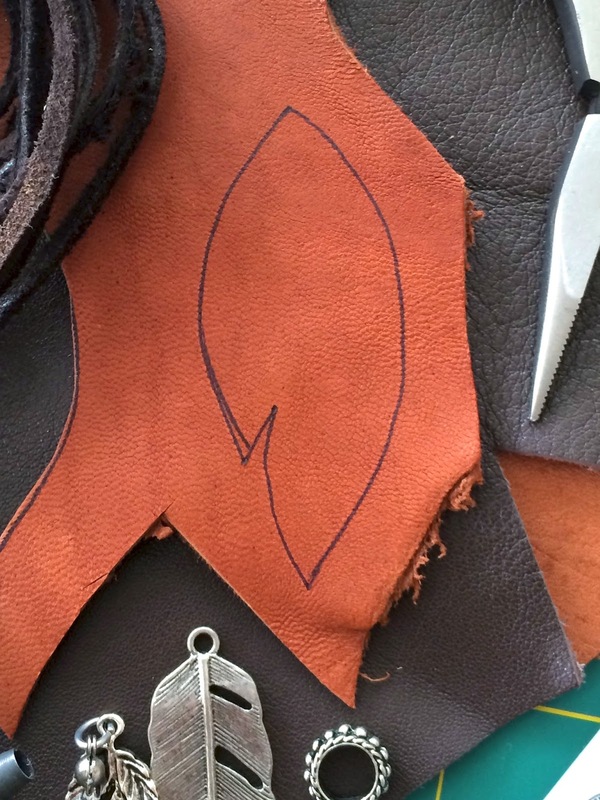 First step is to make the pattern & cut the leather. 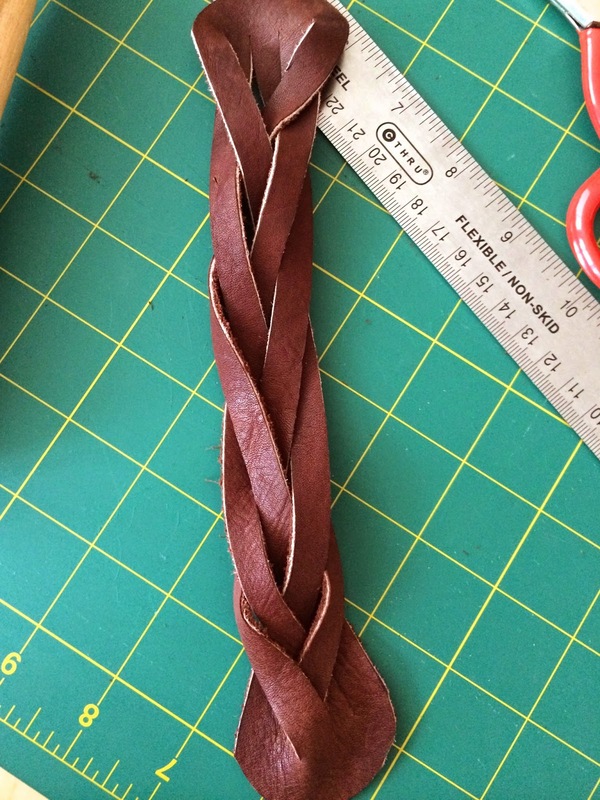 Cut two slits lengthwise through the leather to make a 3-strand braid. Cut fours slits if you want to a 5-strand braid. Second step is to braid. There are a bunch of instructional tutorials floating around on-line. Here’s one I found helpful. Last step is to add the closure to the bracelet. I set one snap on my 3-strand mystery bracelet & one snap on my 5-strand mystery bracelet. 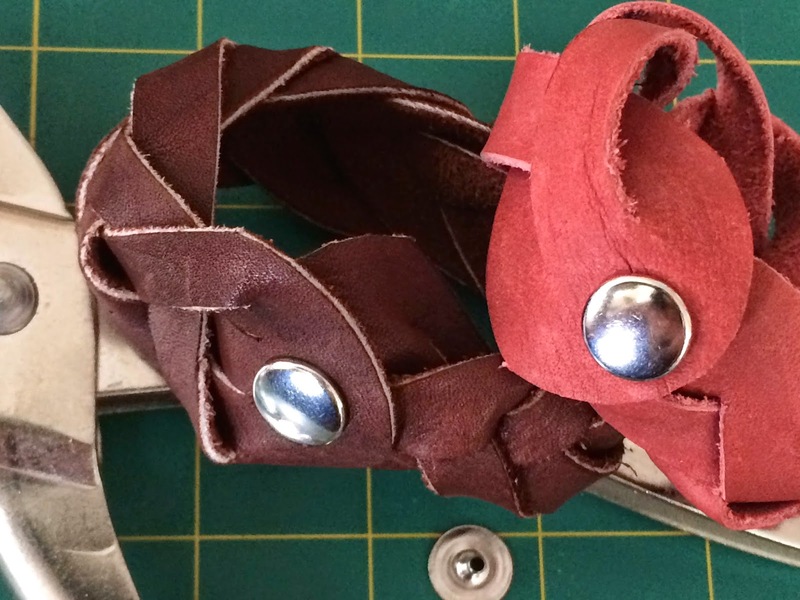 And just like that, two new bracelets ready to wear! 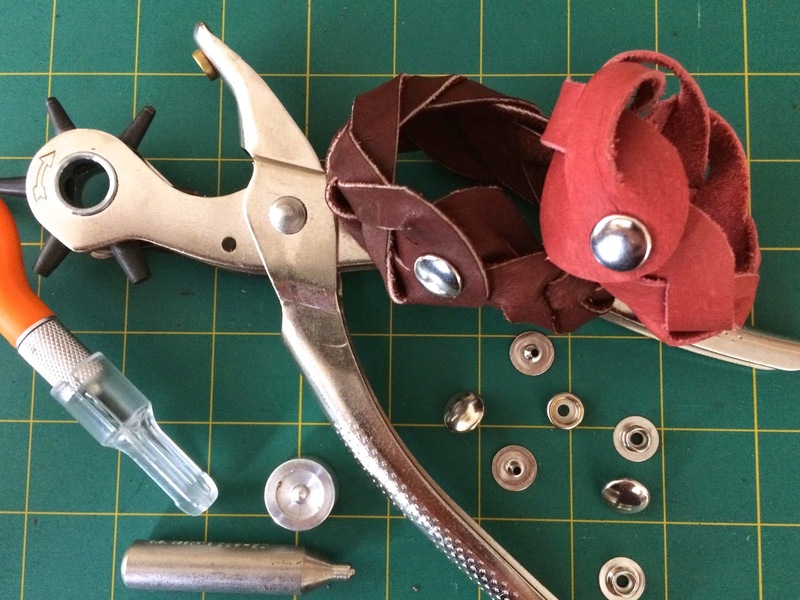 Last night was the “scrap leather” assignment in my Leather 101 class. 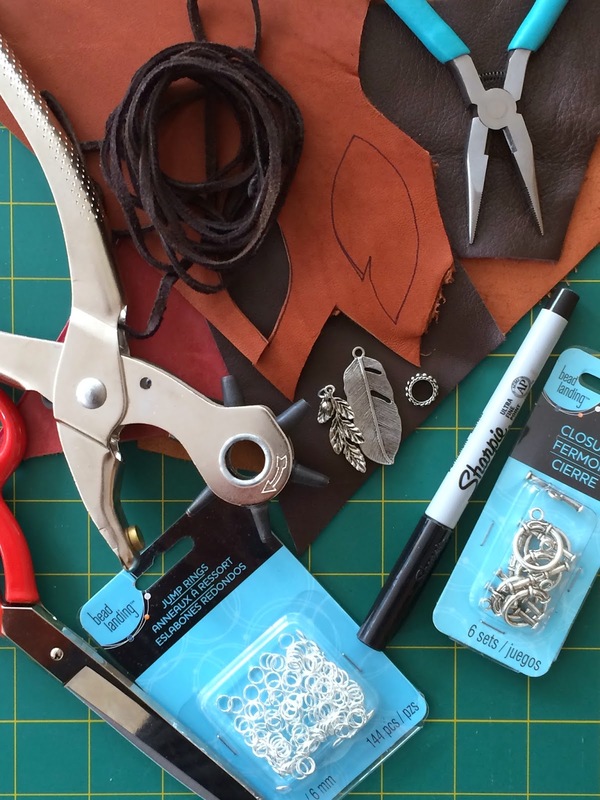 What could each of us make out of the bits of leather in the class scrap bin? I’d thought about the assignment all week. Key fob? Not interested. A little loop with snap to keep my ear buds contained? Maybe later. How about some kind necklace? Hmmm… could be nice… but what? When in need of inspiration, where do we all go these days? But of course – Pinterest. I scrolled about and eventually landed on this picture. I liked it. However, the link sent me to the crafter’s tutorial on how to make a snow globe necklace. Not a big deal. I figured this looked doable even without instructions. I experimented with drawing freehand leaf/feather shapes. I was thinking feathers as I cut my shapes out. Everyone else saw leaves (does it really matter?). 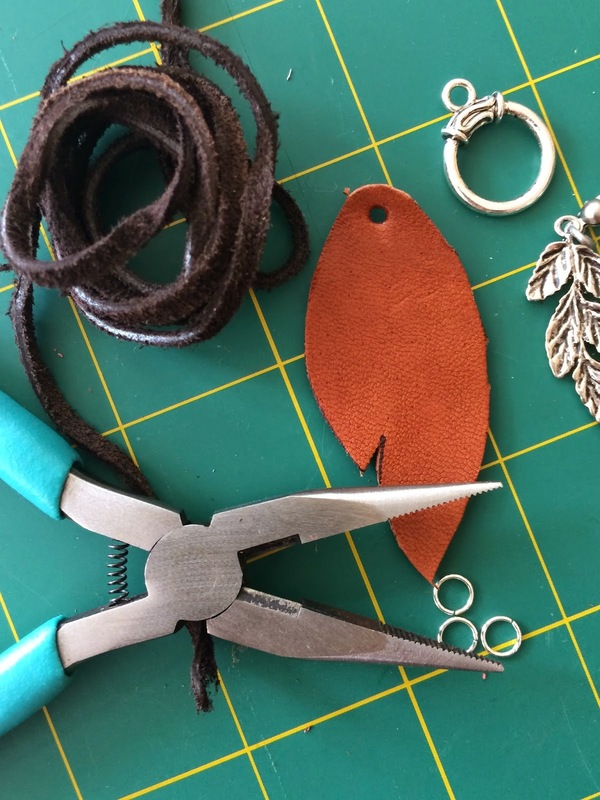 Once I was happy with my leather cutouts, I punched holes in them and was ready to assemble the necklace. 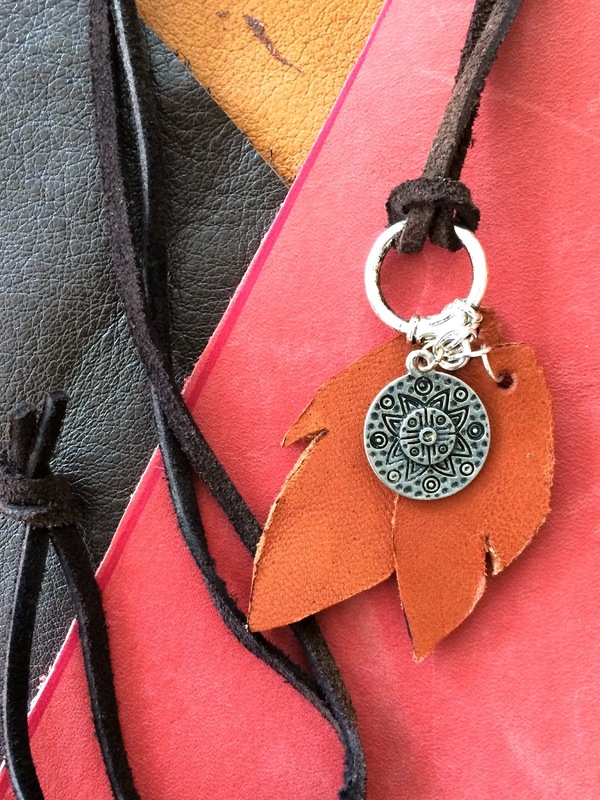 I opted to use the round part of a necklace closure to hang my leather “feathers” and metal focus piece off of. I like how the clean, curved lines of the silver balance the roughness of the leather. 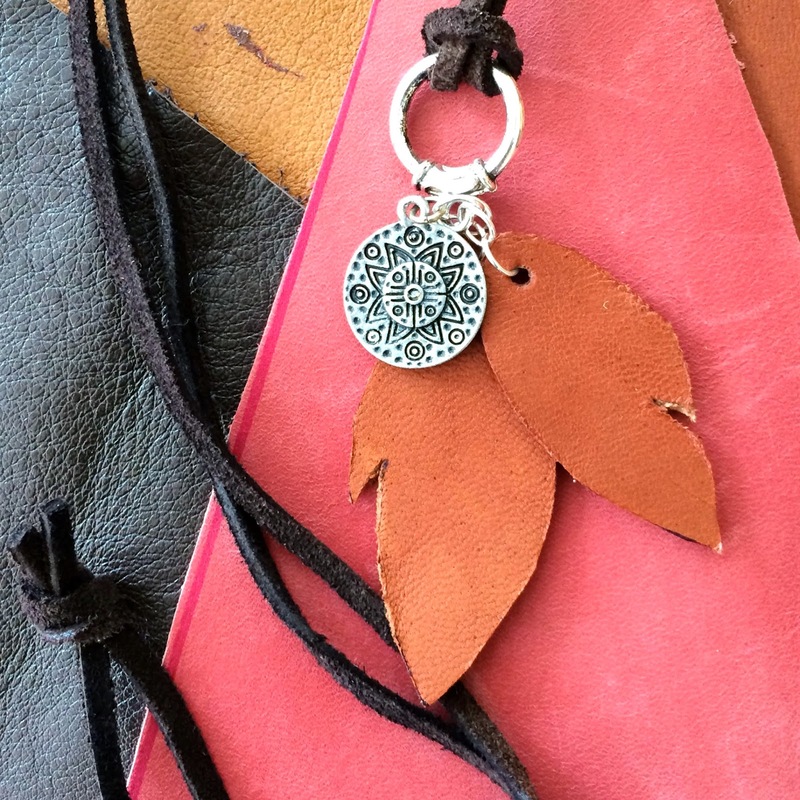 And that’s all there is to this fun little necklace. Perfect of summertime wear. And now, after I’ve made my version, I finally tracked down the actual link to how to make the original piece (she was thinking leaves). Thank you to Eat, Sleep & Make for the great idea! My buddy, Stacy, and I had just 3 hours for this first walkabout. 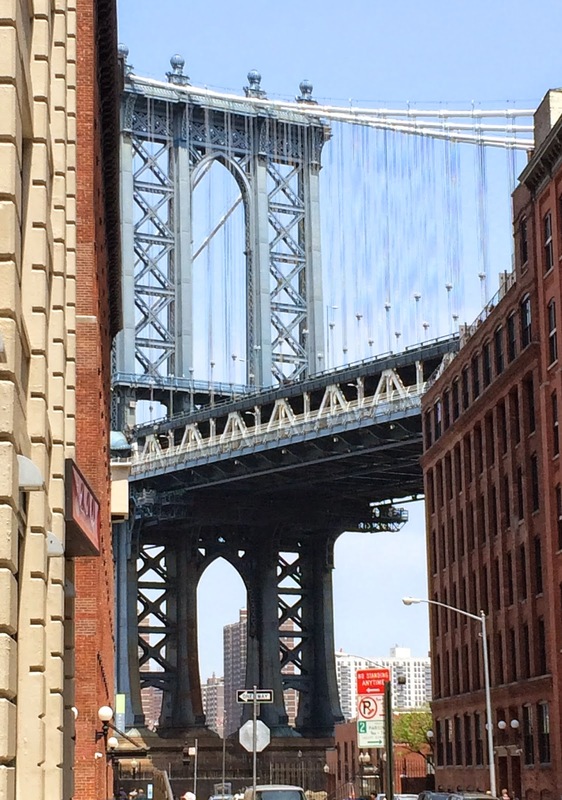 We met at City Hall, walked briskly across the Brooklyn Bridge to DUMBO. We browsed a a few shops. Picked up whoopie pies at One Girl Cookies to bring home to my boy-os. Would I recommend this walkabout to friends? I’d also recommend allocating a little more time to the adventure. But I could have happily stayed to explore another hour or two before heading home.